Launching this summer is an online networking community where only in-house counsel will be allowed to participate. Called In the House, the professional networking site will be the online companion to the eponymous In the House networking organization for in-house counsel that has been operating since 2011. 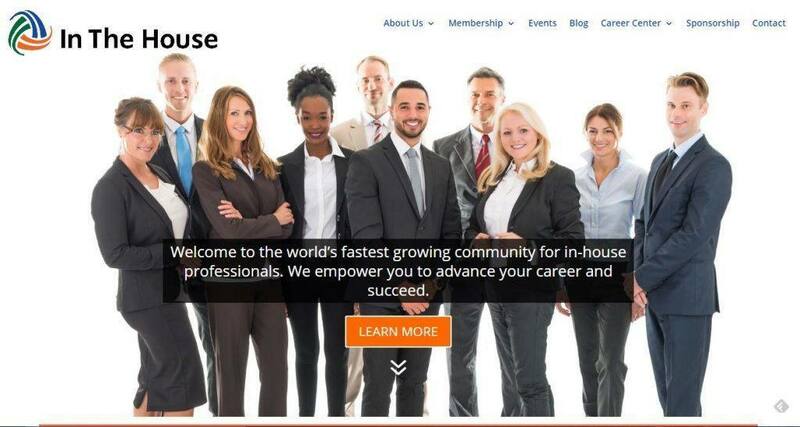 The purpose of the In the House networking site will be to provide members with a forum for freely exchanging ideas, asking questions, and requesting referrals in a confidential and secure environment. The new site will be formally unveiled at an all-day event for in-house counsel in New York City on June 20. The site will launch in late June or early July. The In the House organization was founded in 2011 by Christopher Colvin, then an attorney with an AmLaw 100 firm and now a partner at the IP law firm Eaton & Van Winkle. He saw in-house counsel as isolated from their peers at other companies and believed they would benefit from a networking forum. The organization sponsors educational and social programs for in-house lawyers and provides various practice-support materials and resources. It says it has 23,000 members. On Monday, In the House announced several additions to its management team, including Kevin Vermeulen as chief operating officer, Guy Alvarez as chief digital officer, Kimberly K. Fine as chief business development officer, and Yolanda Cartusciello as chief content officer. Until recently, Vermeulen was a senior vice president with ALM, where he worked for 25 years. He is also co-managing partner of Good2bSocial, a digital marketing agency. Alvarez also formerly worked for ALM and is the founder and chief engagement officer for Good2bSocial. Fine is the founder and managing director of Shippan Partners and also formerly worked at ALM. In a telephone call yesterday, Vermeulen told me that the new site will include open forums as well as private rooms for conversations. Full access to the platform will be open only to in-house counsel, but there will be a portioned-off part where sponsors and certain other guests will be allowed to participate. Access to the site will be free for any in-house counsel who registers. For an annual fee of $95, in-house counsel can purchase a full membership, which gives them access to the site, free attendance at live events, and other members-only materials. The site is being built on a platform provided by HighQ, a company that provides secure collaboration platforms and data rooms for law firms, investment banks and corporations. From what little I know about this site so far, it sounds similar in concept to Legal OnRamp, a professional networking and collaboration site started in 2007 by the general counsel of nine blue chip companies, led by Mark Chandler, general counsel at Cisco. Its goal similarly was to create an online collaboration and content-sharing network primarily for in-house counsel, although membership could also be granted to outside counsel based on the fit of their practice and their willingness to contribute to the site. Legal OnRamp’s CEO was Paul Lippe, a former general counsel who is now familiar to many for the column he writes for the ABA Journal, The New Normal. Legal OnRamp eventually morphed into a company, OnRamp Systems, that marketed several collaboration and analysis tools for corporate counsel and their outside firms. While the focus turned more to the products, the network continues to operate. Three weeks ago, Legal OnRamp was acquired by Elevate Services. As for In the House, I am hoping to be able to check out the site once it launches this summer, so stay tuned for further developments.